Would you volunteer to test out a new medicine? How about testing it on your child? Putting a single new medicine on the market often involves thousands of animal and human patients, not to mention over 2 billion dollars. Can’t we do it in a smarter, faster and more ethical way? 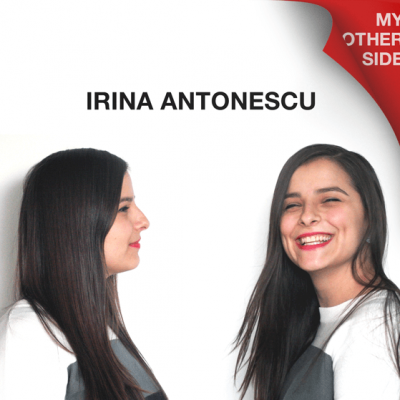 If you ask Irina-Elena Antonescu the answer is, enthusiastically, yes! We need to start testing drugs through computer simulations. Irina is already working hard to make this happen as a PhD student at SDU. 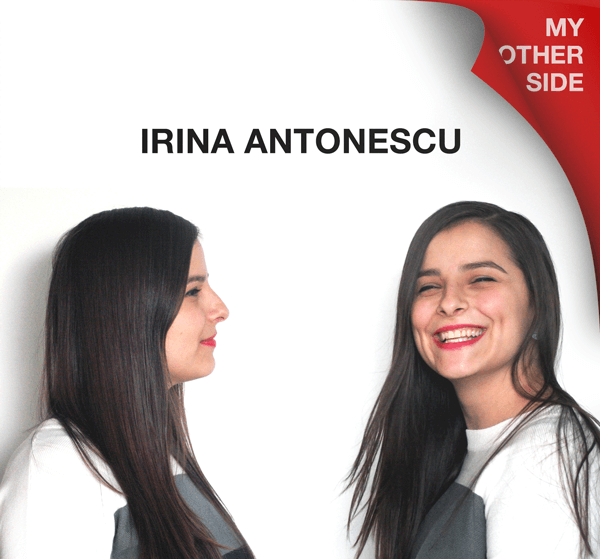 In her TEDx talk, Irina will give you a glimpse into the future of drug testing. 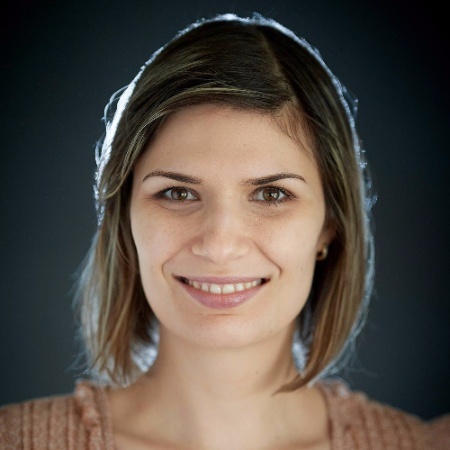 An engaging and charismatic personality, Irina-Elena Antonescu is as passionate and involved in her life outside of university as she is in her research. 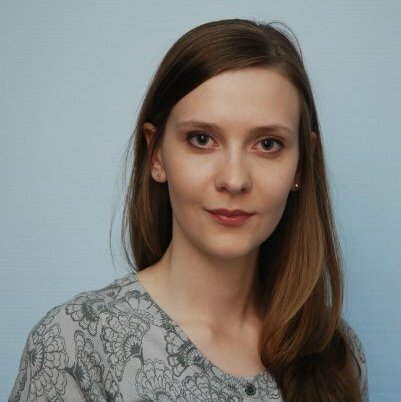 Irina first came to Odense to take her master’s degree in Nanobioscience at SDU in 2014. Since then she has become an active member of several volunteer associations that contribute to the “hyggelig” and vibrant culture of Odense. Irina is vice-chair of Sofar Sounds Odense, founding board member of PAUSD, the PhD Association at SDU, volunteer translator for This is Odense and, last but not least, a speaker at TEDxOdense 2018! 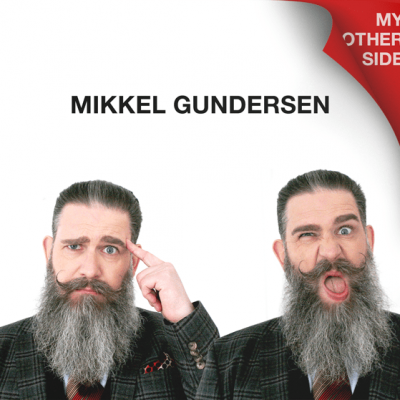 Explore the other side of your mind with mind-pilot and mental expert Mikkel Gundersen. Mikkel has 25 years of experience in magic, stand up and theatre, which he skillfully brings together in his masterful mental magic shows. As a mentalist, Mikkel Gunderson uses his unique insights to help a variety of clients unlock the hidden mysteries of their minds. With his guidance, you will discover what magicians know about control, manipulation, lies, deception and trickery. By first playing tricks on your mind, then teaching you what you should be looking for in your own mind, Mikkel will share with you the other side of magic tricks and - ultimately - the mind. 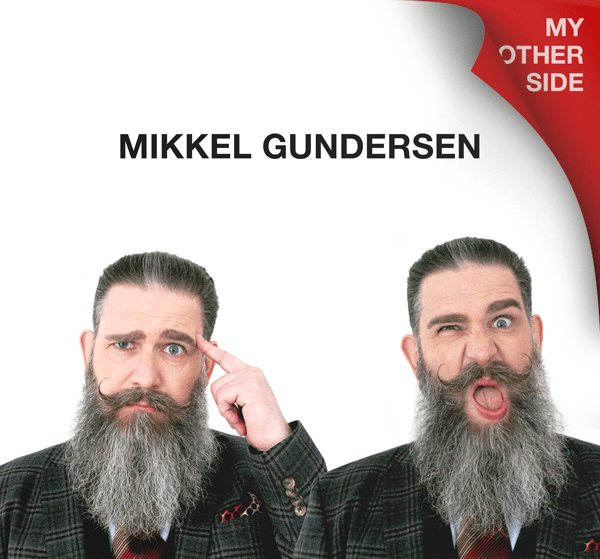 The talented and highly sought-after mind reader and mentalist Mikkel Gundersen will give the guests of TEDxOdense 2018 a unique and unforgettable experience that will both motivate and educate. With over 2 billion non-native speakers of English, there has never been a better time to communicate together. But what happens when things get lost in translation? 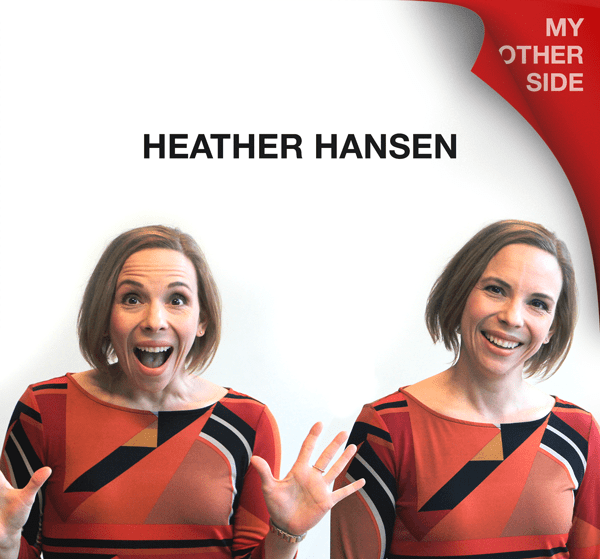 Heather Hansen has worked internationally as a global communication specialist. She believes our accents say a lot about who we are. But sometimes we are embarrassed by our less-than-perfect pronunciation. Sometimes our accents say more about us than the words that we use. What if we didn’t change the way we speak, but changed the way we listen? 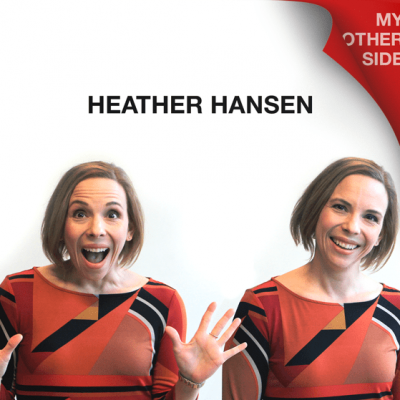 Heather will take you to the other side of language, a flexible, adaptable, and accommodating place where a billion different voices can be heard. 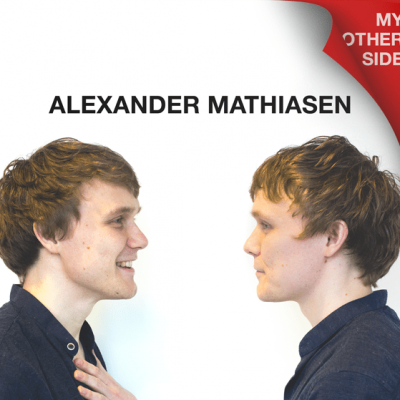 Alexander Mathiasen is a computer science PhD student at Aarhus University. A charismatic and engaging speaker, Alexander shares his love for learning everywhere he goes. It led him to embrace challenges like learning everyday things such as playing guitar or foosball, but also more complicated ideas such as the ones he pursues in his PhD. At Aarhus University, Alexander takes his passion one step further, to learning about learning. To achieve this, he studies the mathematics of machines trying to learn. During his research Alexander realized there was another side to advanced computer intelligence: that even the smartest of computers are still pretty dumb! They don’t work how we want them to, they malfunction, and they make mistakes. Too bad humans aren’t much better - we can be idiots too! 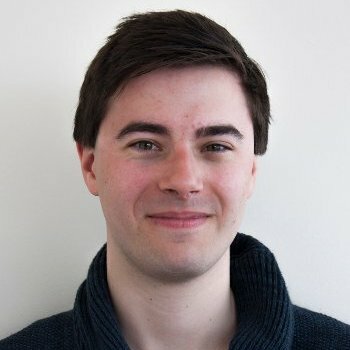 At TEDxOdense 2018 machine learning researcher Alexander Mathiasen will take us into the mind of idiot computers - and idiot people. Find out how to make machines think smarter and learn better by working together. In this unusual, technical and intriguingly complex talk, Alexander will explain exactly how many idiots it takes to make an Einstein. 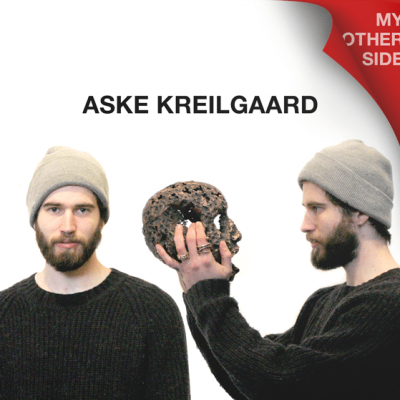 In 2015, Danish artist Aske Kreilgaard left behind the life he had always known. He took a leap of faith and followed his dream to explore the world, making art and rolling out social projects wherever they were needed. A few months into his travels he found himself in Calais, France. Aske’s life changed forever when he saw the neighbouring Refugee and migrant camp, known as the Calais Jungle. Here, he was truly needed. Aske lived and worked among thousands of refugees. The extreme conditions in the Calais Jungle were described by Human Rights Watch as “Like Living Hell”. Many of the refugees at the camp were unaccompanied minors. With the support of volunteers and organizations like ‘Save the Children’ and ‘Help Refugees’ Aske founded ‘Baloos Youth Centre’. Through this initiative, he brought art, creativity and hope to the young children here who needed it most. 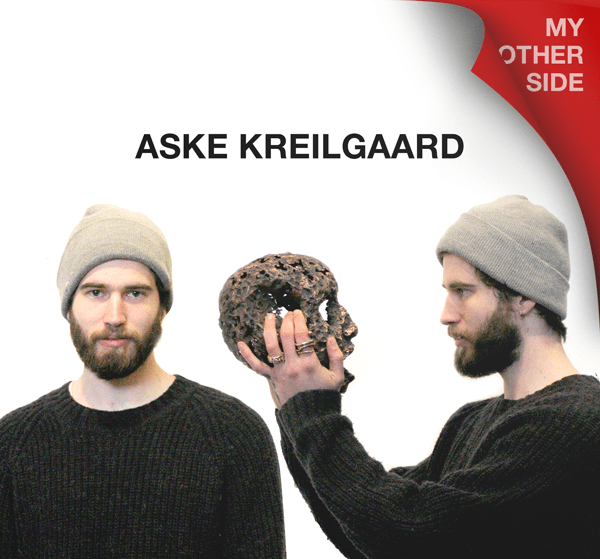 At TEDxOdense 2018, Aske Kreilgaard will share with you a world of loss and hope. See a side of the world you’ve never seen before through his captivating talk, full of real-life stories. 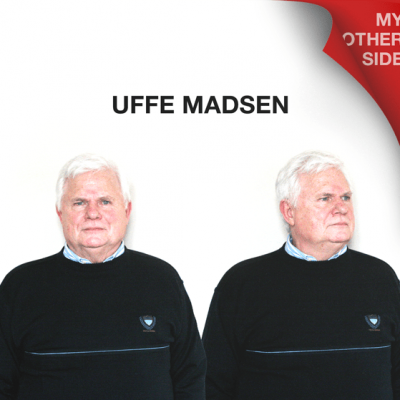 Uffe Madsen may be the last person you ever meet. His generous spirit, relaxed demeanour and sympathetic personality have led him to volunteer for a very special role. As a “Final Companion”, Uffe takes time to sit alongside dying strangers, so they needn't be alone in their last hours. Ældre Sagen (www.aeldresagen.dk), the organization where Uffe volunteers, is a nationwide charity offering a wealth of advice, information and support with challenges that the elderly are dealing with, through fun, travel, grief help and day to day assistance. In 2016, Uffe and others volunteering as “Vågetjenesten” (in English “Watching Service”) like him helped 548 dying individuals by making sure that they didn’t have to die alone. This watching service is becoming a common idea in the Danish society, but many other countries don’t have a “Watching Service”. TEDxOdense aims to highlight this as an idea worth spreading internationally. At TEDxOdense 2018, Uffe Madsen will tell us moving stories from his time spent beside dying strangers. His talk will illustrate the importance of having a “Watching Service”, so that the many sick and elderly around the world can pass over to the other side in the care and security of another person’s comforting presence. 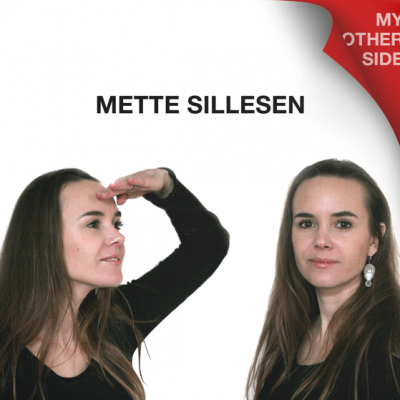 Mette Sillesen is a futurist operating in the sweet spot of technology and spirituality. She has been working as a futurist since 2012, when she completed her Master’s in Innovation, Management, Marketing & Business Communication from Copenhagen Business School. Her approach to the future is deeply rooted in our constant search for meaning - for meeting the magic and the divine. Mette believes that spirituality can be harnessed to change the way we communicate, collaborate and cooperate. How many likes do you need to get to go to Heaven? How many blog posts does it take to gain eternal life? Does technology help us answer the questions we once asked of religion? Can we connect to our souls as easily as we connect to WIFI? 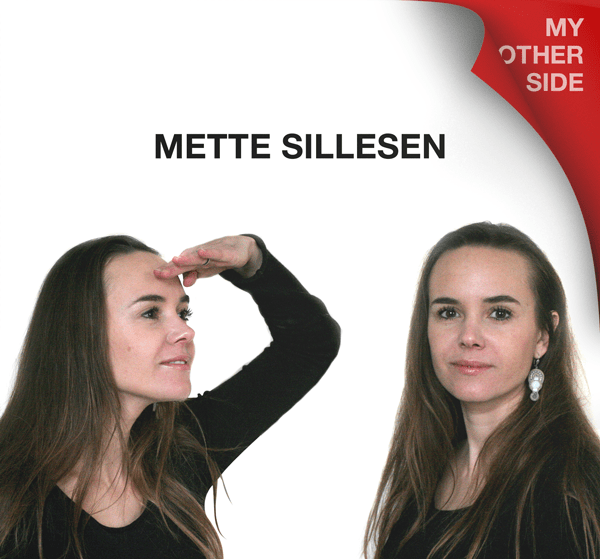 Mette makes sure to ask the important questions - and these lead her to fascinating answers! At TEDxOdense 2018, join bold and thought-provoking futurist Mette Sillesen on a spiritual journey - with technology. Enter the unusual universe of a “High Tech - High Touch” megatrend. Kay Xander Mellish grew up in the US and is now based in Copenhagen, Denmark. A former journalist whose work has appeared everywhere from The Wall Street Journal to Mother Jones, Kay has worked primarily in corporate communications since coming to Denmark. 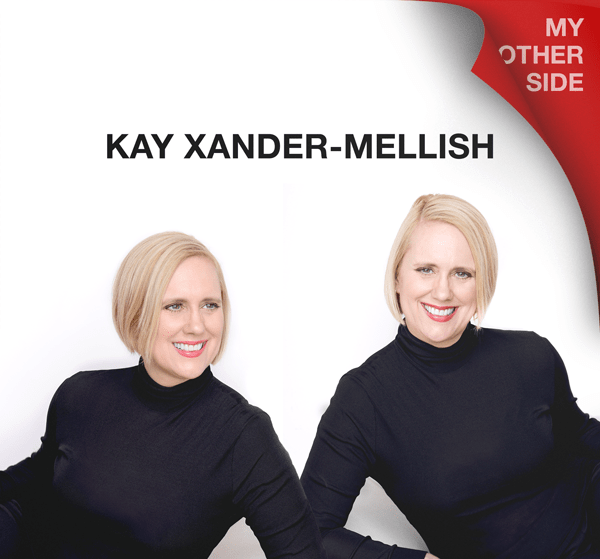 In 2013, Kay founded her own boutique consulting firm, KXMGroup, which helps Danish companies communicate in English. Her passion, however, lies in helping others who are going through the same experience as she did - coming to Denmark from another culture. Kay has become known as an expert on Danish culture. She has published the humorous and helpful books How to Live in Denmark and How to Work in Denmark. She also runs a popular podcast called How to Live in Denmark, which has been downloaded more than 500,000 times. 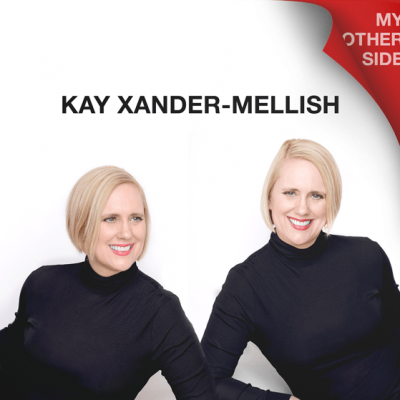 Due to her skill as a speaker and her comprehensive knowledge of Danish culture, Kay Xander Mellish is a popular public speaker on Scandinavian culture and the unwritten rules of the Danish workplace. What does it mean to truly fit in? How do you really feel at home in a new society? At TEDxOdense 2018, speaker Kay Xander Mellish will focus on questions such as these. She will tell us about the other side of culture - culture seen as an outsider. 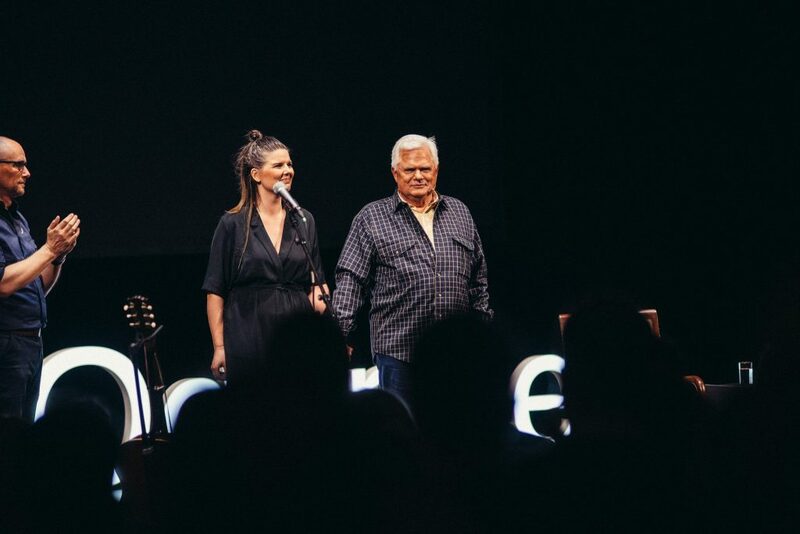 Free-spirited singer and speaker Mariyah LeBerg’s story took her from a Jehovah’s Witness upbringing to the stage. 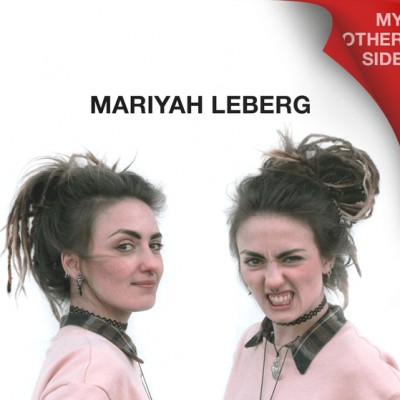 With a Jehovah’s Witness Mum and a Lebanese Muslim Dad, the one thing Mariyah’s parents agreed on was that rock music was not the best career choice for their daughter. Yet no amount of adversity could stop Mariyah, who would defy all obstacles to become a rock star. 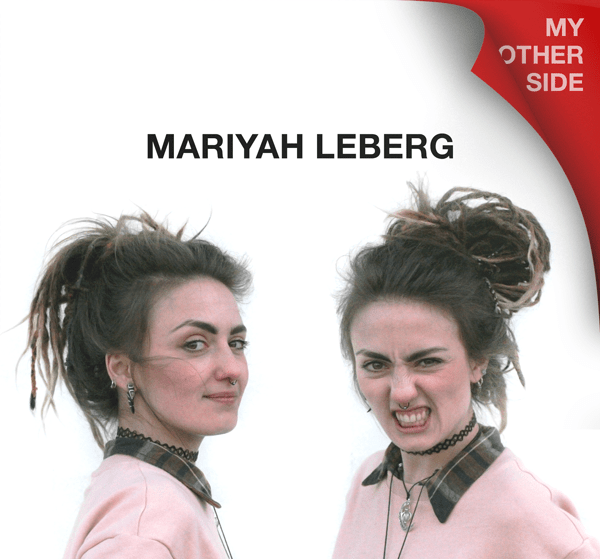 In 2010, Mariyah started out in the rock band Kids in Crime, then, in 2012, she released a Danish rap EP with Andreas P Bjerring (Intelligent Pushing) as her alter ego, 'FordærvBerg'. The year after that, Mariyah joined the fiesta punk band Patchanka with whom she performed in various European countries, such as France, Germany and The Netherlands. In 2014 Patchanka won a Danish Music Award for best live act. Simultaneously, Mariyah had formed the duo M.E.T.A with Andreas Bjerring. M.E.T.A released an EP in late 2014 and their debut album ‘REBORN’ in 2016. In 2017, M.E.T.A went on a 5 day tour in 5 different Chinese cities, and later in the year they went on a more extensive tour all over China, visiting 23 cities. China couldn’t get enough of Mariyah! Following this tour, Mariyah signed a 3 year contract as a solo artist with REN Productions in Asia. At the age of only 16, Mariyah left everything she knew behind, and found a new identity through her music. Her success as a musician, leading to a promising career as a solo artist, is most likely due to a combination of her visual sense for creating amazing shows and her musical passion, which she brings on stage in her voice and in her very presence. At TEDxOdense 2018, discover the visually stunning electric energy of Mariyah LeBerg. See her other side; the story of how she came to be who she is today. 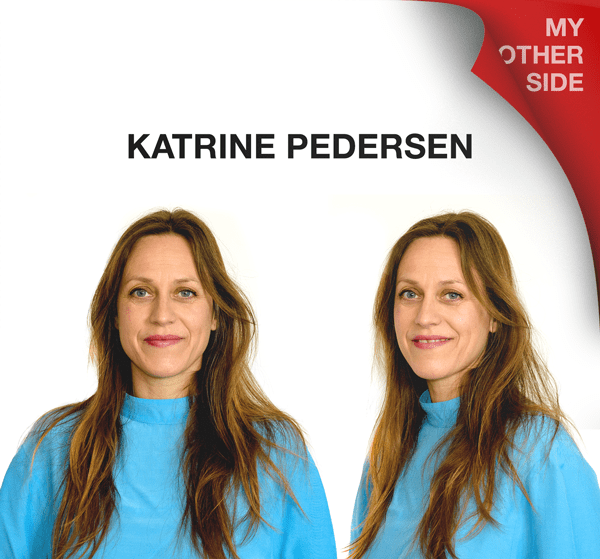 Katrine Pedersen is one of Denmark’s leading experts in youth digital culture – as well as an internationally renowned author and blogger. 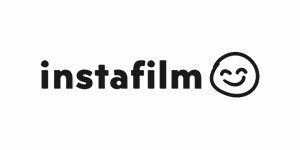 Since 2012, Katrine has had her research base in Silicon Valley and served as a consultant for both Danish and international companies, organizations and cultural institutions including the Danish Film Institute. 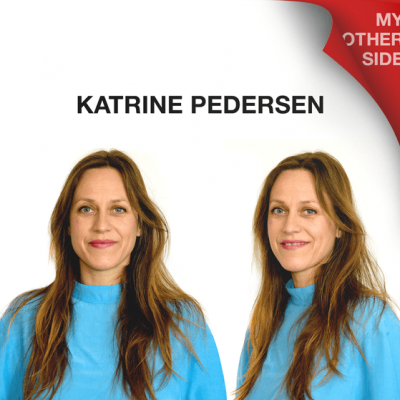 Since 2017, Katrine Pedersen has been the Head of Education at ARKEN Museum of Modern Art. She is also on the advisory board of Børns Vilkår, an organization which supports children in Denmark. She advises this organization on how to provide counseling for children through digital platforms. Are machines making humans act more like machines? At TEDxOdense 2018, Katrine will explore the answer to this question. She will bring us on a thought-provoking journey into the boundary between humanity and technology. In her talk Katrine takes us inside the Art & Tech Lab, where she encourages you to re-code computers with human algorithms. What happens when we code for humanity, instead of for machinery? A lot of amazing things! Computers can’t always see what art can show. Art creates pathways for subversion, for political understanding, for solidarity among coalition builders. Hardeep Dhanjal’s parents immigrated to Denmark from India in the early 70’s – making him a so-called second-generation immigrant. 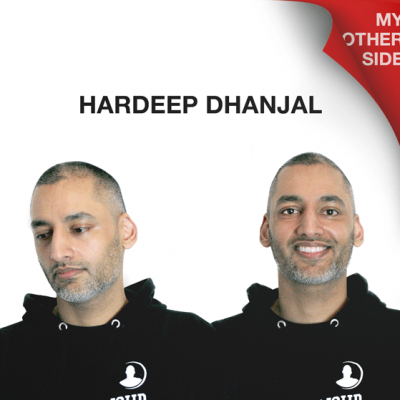 Growing up, Hardeep experienced many challenges at home and at school due to his outsider status in the Danish society. These difficult early years made him into the strong and resilient person he needed to be – not only to get through his childhood but to overcome the challenges he came to face later in life. At the age of only six years old, Hardeep began playing various instruments as he developed an interest in music. Then, at the age of 17, Hardeep dreamt of entering the music industry. He was hugely successful! In 2008, after 12 years of hard work, his rap group 'Overseas' became the biggest selling international group in India. They were performing for audiences of 30 thousand fans in countries like United Kingdom, Dubai, India, Denmark and more than 200 million TV viewers worldwide. Yet Hardeep’s success ended abruptly. He was cheated out of royalties and exploited by both his record label and management. These negative experiences extinguished the fiery passion Hardeep once had for music. He ended up abandoning the music industry for good. 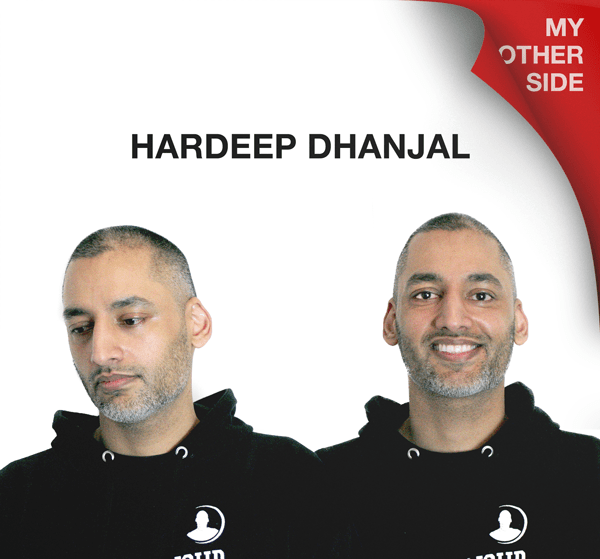 For years after this betrayal, Hardeep Dhanjal was in a dark place mentally - certainly not living up to his fullest potential. He recognized this and gathered his strength once more to prove to the world that he still had power left in him. At this time, a former boss of his introduced the concept of “Motivational Speaking” to Hardeep. He told him “Hardeep, I know many leaders in the business world, but I have never met a man who can inspire me like you do”. This became a door-opener to a whole new world and to a new beginning in life for Hardeep. In 2012, Hardeep embarked on a new vision, and in just 4 years, Hardeep is already widely acclaimed as one of the most versatile and powerful speakers on human development in Denmark! Working full time as a inspirational speaker, Hardeep applies the same determination and focus that helped him skyrocket in the music charts during his music career. Hardeep shares his insight on vision achievement. Come to TEDxOdense 2018 and learn what it takes to rise from the ashes, twice, and reach the stars. 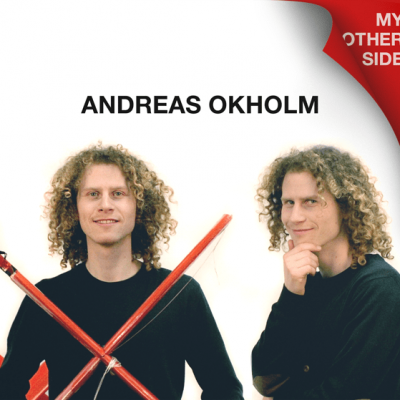 Andreas Okholm is an engineering designer, self-taught programmer and successful entrepreneur. His dream is to make wind energy widely available and easily affordable. Except it’s not just a dream. 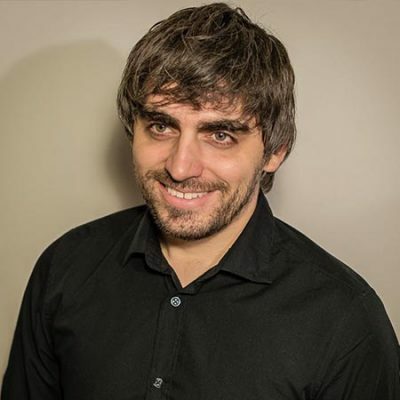 Andreas is the founder of KiteX, where he and his team are developing a lighter-than-air wind turbine based around the idea of a kite, which can fly itself. Combining the latest in drone technology, kite engineering and power generation, Andreas paves the way for power generation on the go. We live in a world where a high-tech wind turbine can become as simple as flying a kite. Take a very special journey with us into the future of energy – a power station in the sky. 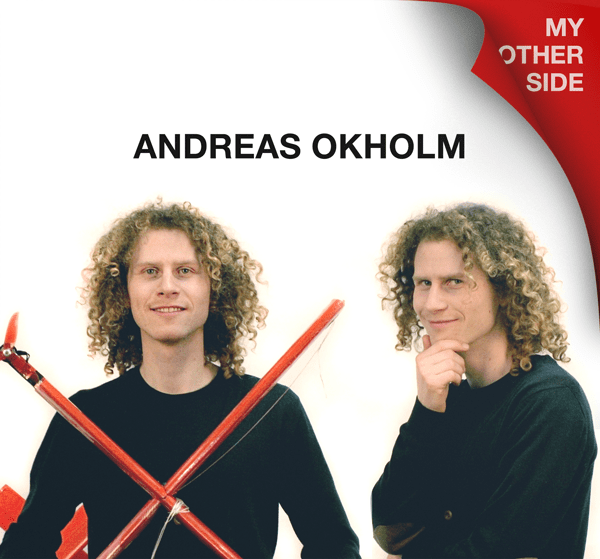 At TEDxOdense 2018 Andreas Okholm will give a demonstration of how we can soar into the future of clean, mobile and renewable energy. Prepare to see the other side of energy. Danish-Icelandic artist Kajsa Vala combines a wonderful mix of rock, folk and country, with a string of Nordic melancholy. Kajsa is an incredibly skilled guitarist whose elegant voice is both strong and vulnerable at the same time. Hearing her band live is a fantastic experience. They gain new followers wherever they go. Recently, they won the Fatter Eskil Prize and GAFFA has nominated Kajsa Vala’s concert at SPOT in 2017 as one of the best concerts that year. 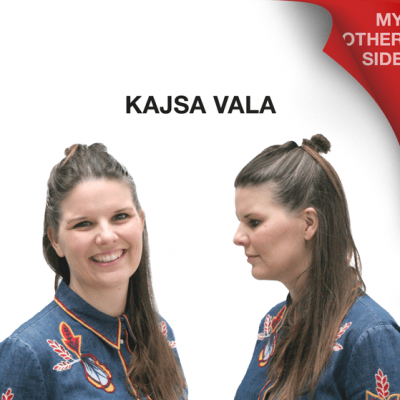 Kajsa Vala has both an American and a Nordic ring to her music. 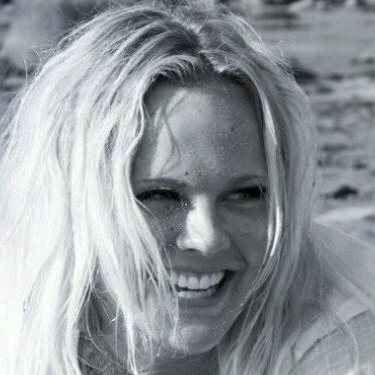 Despite her upbringing in the musical environment of Aarhus, Kajsa has considered Nashville, USA, her home away from home ever since her record “Your Train” was launched by the record company High Horse there. Kajsa’s music combines her love of her Scandinavian upbringing with all the experiences she has had since - as a popular musician and songwriter amidst Americana and folk music environments in the United States. It is with great pride that we welcome this talented performer to our stage. 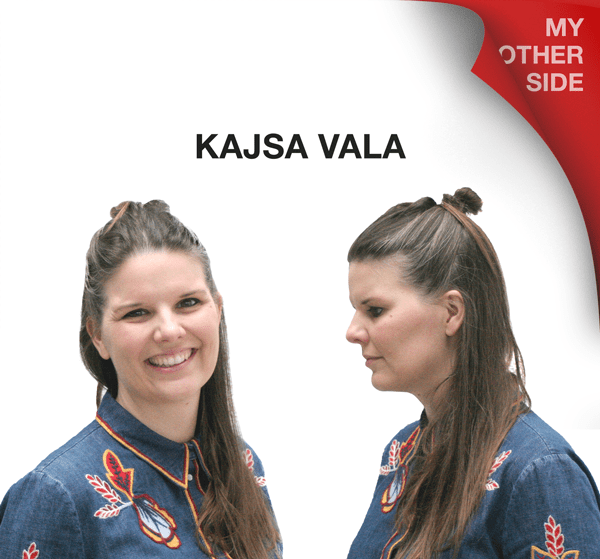 At TEDxOdense 2018, using her voice, guitar and hauntingly beautiful music, Kajsa invites you to take the bad with the good, the all-wrong with the all-right - because there’s something about the twilight that gets you through the night. Bjarke Hellden is passionate about movement – and has been his whole life. He is a talented athlete within parkour, freerunning/street stunts and pole dancing. Currently Bjarke works as a performer and coach at House of Pole in Copenhagen. On top of this, he has been a member of the Danish performance team JiYo since 2007. What happens when you push the limits of what’s possible with just a human body and some creativity? 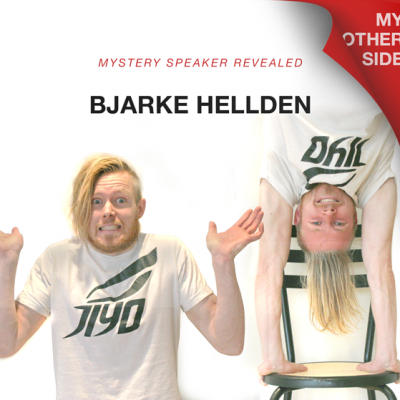 Bjarke Hellden’s ability to see possibilities where no one else would is what makes him a leading practitioner of parkour and freerunning around the world. 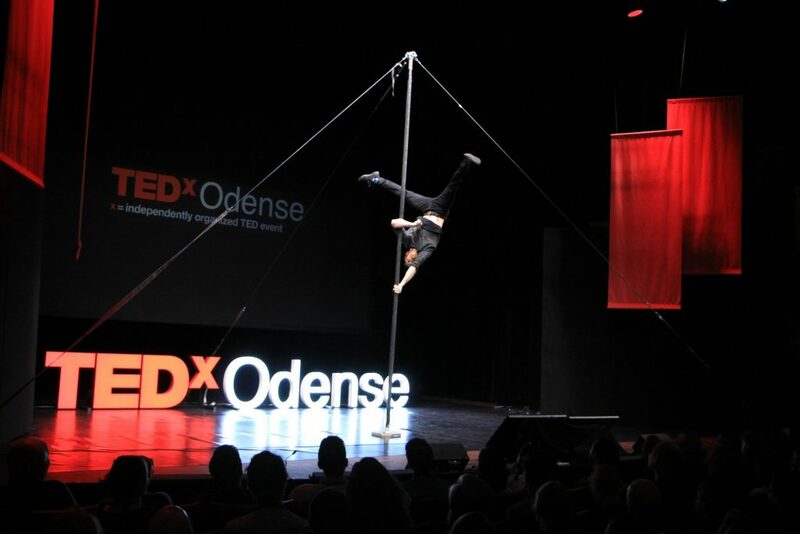 At TEDxOdense 2018 Bjarke will be erecting a pole on the stage of Odense theatre and giving a performance you won’t forget! Let yourself be amazed by Bjarke’s athletic feats and captivating performance – these attest to his life-long love for the power of movement. 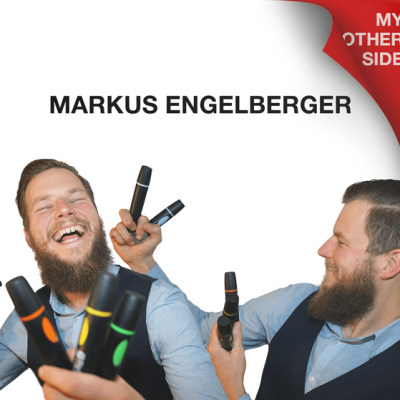 Markus Engelberger is a professional lateral thinker and designer of visual communication bridges. He was born and raised in Vienna, Austria, and has a passion for creating a positive social impact in everything he does. His motto is ACT! - Actions Change Things! 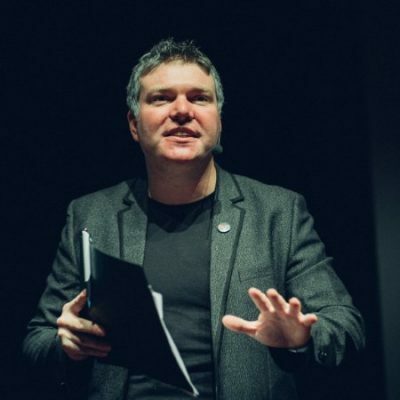 For over 15 years, Markus worked with creating framework conditions in which children and adolescents could develop and write their own stories. For the past 5 years, as a systemic consultant and trainer, he has shifted his focus to aiding executives, teams, organizational units and entrepreneurs in building communication bridges, solving problems creatively and shaping a successful future. Language creates reality. Those who talk about problems will find themselves in problematic situations. Those who talk about solutions, create solutions. The language of visuals, full of symbols and sketches, is a powerful communication tool which Markus masters wonderfully – in combination with words and numbers, of course. Human beings are highly visual, so why not embrace the fact? 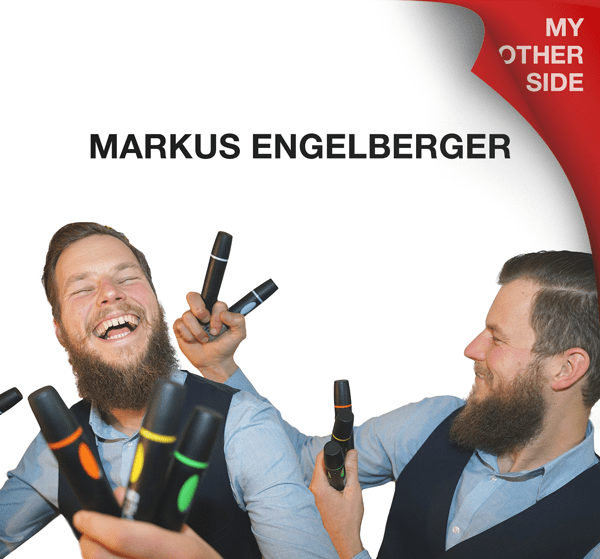 At TEDxOdense 2018, Markus Engelberger is our graphic recorder. He expresses, through great visuals, the messages of the innovative talks we hear. That is the real power of visual communication! 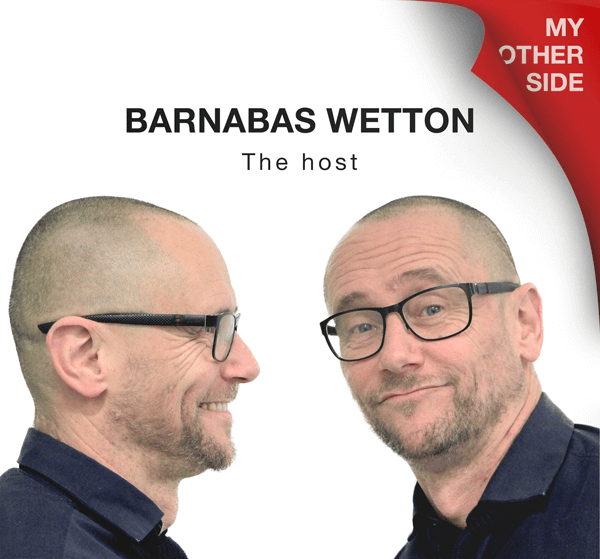 Join the incomparable Barnabas Wetton, who has reported for the BBC World Service, milked cows, established schools in Ethiopia and helped build a bridge in Peru. He works as Head of International Innovation at Designskolen Kolding in Denmark. He has exhibited at the Royal Academy, London, Trapholt, Nicolai for Kunst and Charlottenborg and in Sweden, London and Germany. One of his teaching projects sits in the permanent collection in New York’s MoMA. 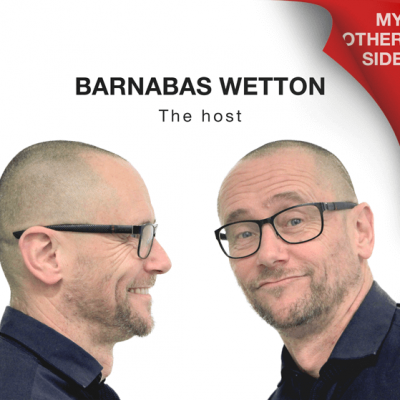 Putting first things first, Barnabas will be your host and guide throughout the event. We’re a Danish design studio, working in the realm of children, culture and society – converting complex communication and knowledge into tangible, immersive experiences. We create positive impact through design. 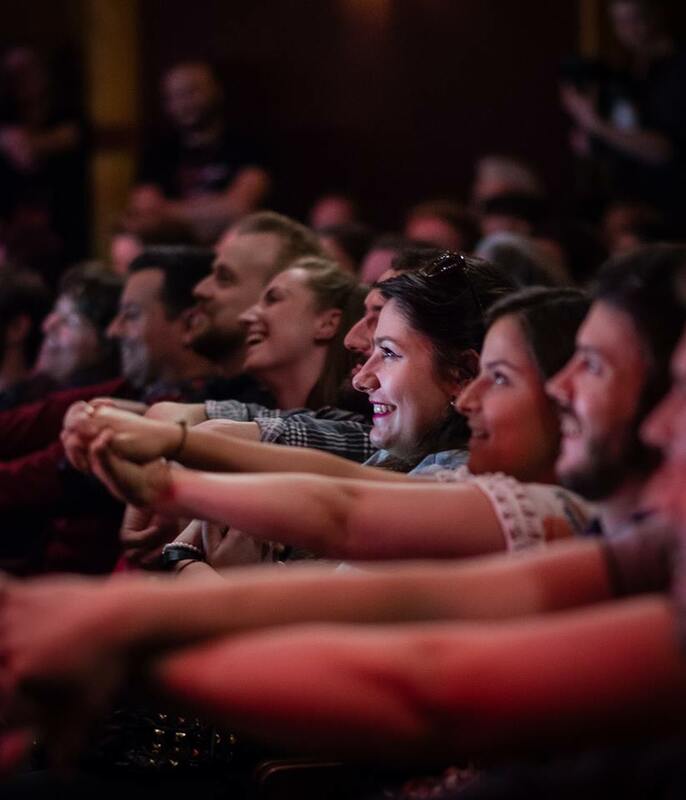 Just like the TED organization, we deeply believe that real and lasting positive impact begins by welcoming people from every discipline and culture to seek a deeper understanding of the world – yet every single initiative around the planet takes root in the local community. In this case Odense. We cannot imagine not being part of TEDxOdense. Orifarm Group is an ambitious operator in the European market for pharmaceuticals. An important contribution to our success is our curiosity and our will to try new things - a driving force that continues to bring our business forward. Since its foundation in 1994, Orifarm has grown from an entrepreneurial start-up with 3 employees to a successful company with 1,100 employees, every day working to achieve our mission of REthinking the business of healthcare. 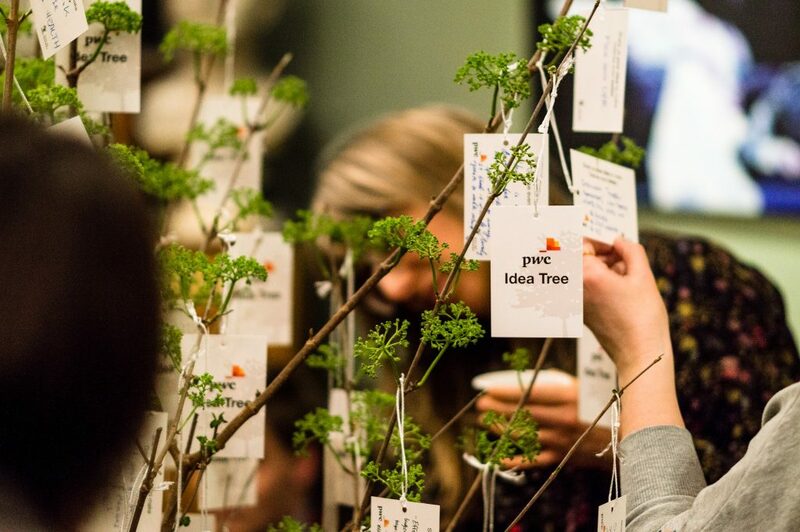 Rethinking is also what TEDx is about; to create a space for sharing ideas and to plant seeds that can grow to become new solutions to the challenges of tomorrow. This is why Orifarm is a proud visionary sponsor of TEDxOdense. 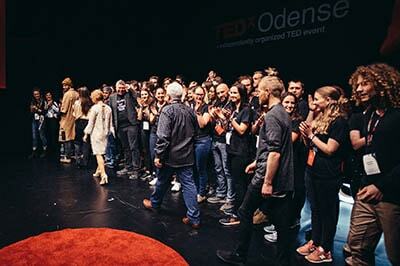 TEDx is an internationally acclaimed brand and speaker series that matches City of Odense's strategy to position Odense as a growth hub and frontier for robotics, health and drone technology. 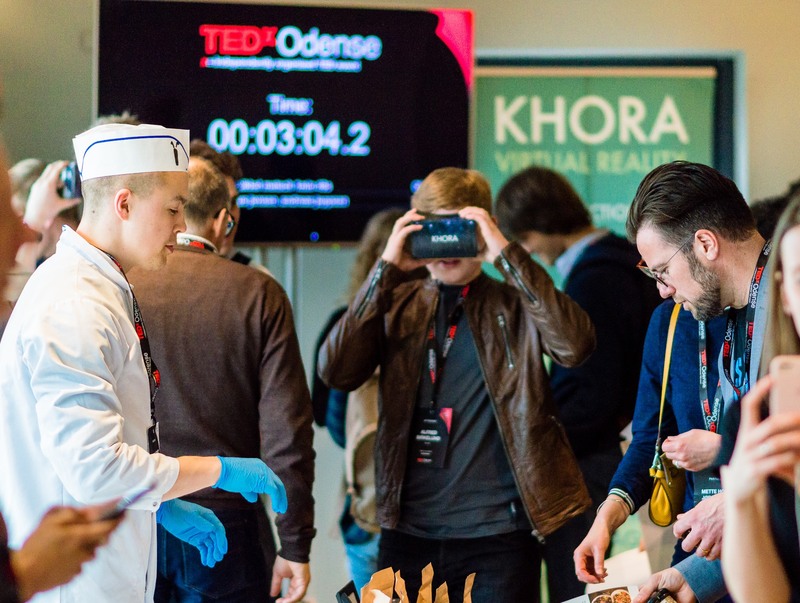 With its inclusion of Odense’s core competencies - robotics, health and drone technology - TEDxOdense supports City of Odense’s strategic focus and celebrates local talent and entrepreneurship, a growth arena that is also within the realm of City of Odense. 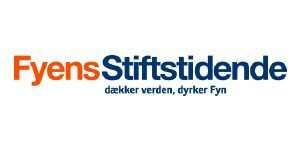 It is a great pleasure for Fyens Stiftstidende and fyens.dk to be a partner of TEDxOdense 2018, giving Odense an international boost. 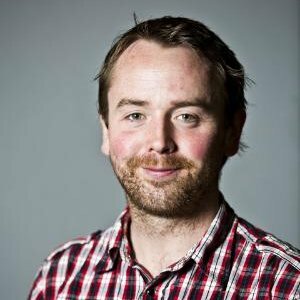 Jørgen Volmer, Redaktionschef Aktualitet, samfund og erhverv Fyens Stiftstidende. 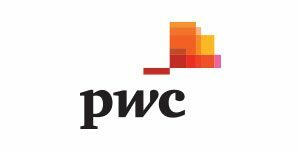 PwC is passionate about the development of companies and talents. We want to unite inspiration, insight and people. 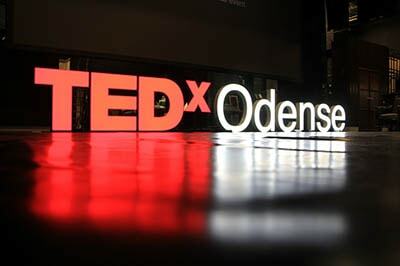 Being part of TEDxOdense is therefore obvious, and we are looking forward to spreading the good ideas of tomorrow! 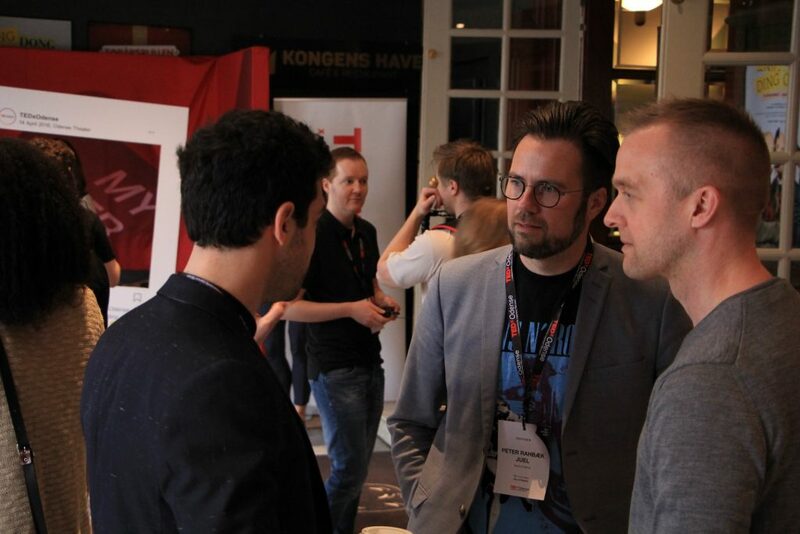 Instafilm is proud to deliver content for something as important as TEDxOdense. We are a full-service video production company made for social media and if there is something we love - it's sharing ideas. 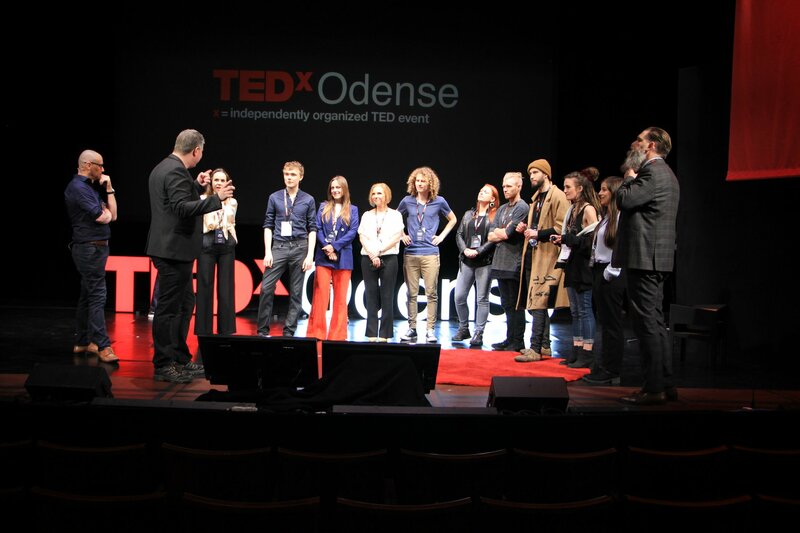 TEDxOdense is right up our alley and we look forward to collaborating. Since 1897 First Hotel Grand have held the position as Odense's premier hotel and conference venue. During the years, passionate people have shared their ideas, ambitions and results in our restaurant, bar and conference facilities. We are therefore proud to take part in the facilitation of TEDxOdense as natural extension of our company DNA. 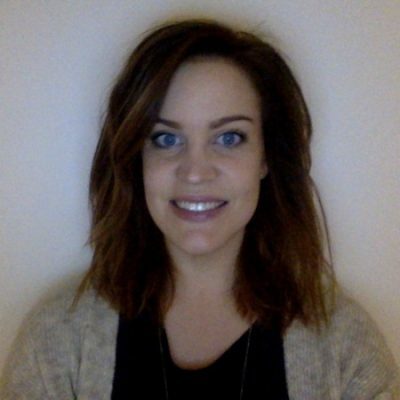 Steffie is the head organizer and co-license holder for TEDxOdense. She started as a TEDx organizer in 2014, where she ran a university TEDx event: TEDxEAL. After 2 great TEDxEAL editions she and Adam decided to take it to a city level, and so TEDxOdense was born. Besides TEDx, Steffie runs her own event company, Unfolding Events, where she works as a freelance event manager and works on events such as Thinkers50 and her own event concepts such as Factory of Imagination. I got introduced to TED through my dad when I was 17. He would send me links to TED video´s that I had to watch. Stubborn as I was, it took me some years before I took his advice. Since then, I fell in love with it. I then started as a volunteer at a local TEDx and discovered the TEDx magic. When I moved to Odense I saw there was no local TEDx event yet, so I took the opportunity to start one. Inventor, author, innovator, and educator, Adam Montandon loves to share his knowledge and energy. He uses playfulness and interactivity to help you unlock your full creative potential. He has given inspiring keynotes at many universities and events around the world. Highlights include the prestigious Royal Institute of Science in London, Berkeley University in California, Transmedial in Berlin, MipTV in Cannes, TEDxLinz in Austria, and many more. His work appears in magazines, newspapers and TV programs around the world. He has featured in award-winning documentaries for Discovery Channel and Research TV. 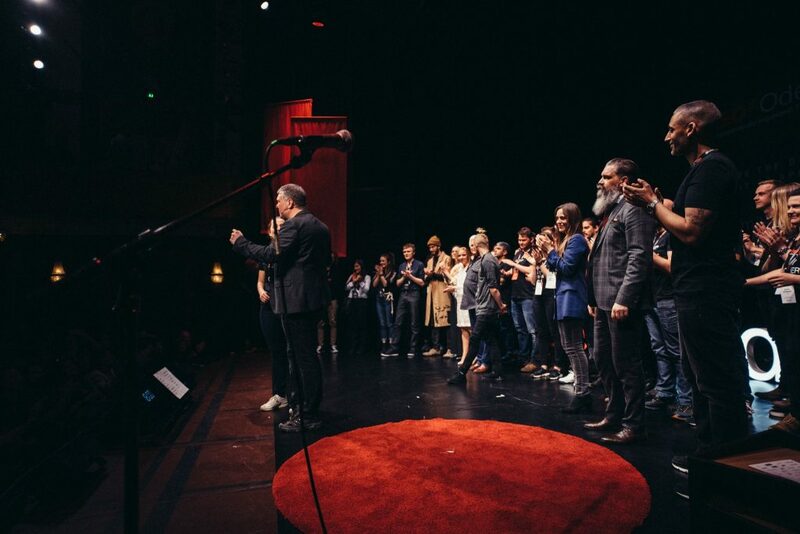 I wanted to bring the TEDx concept to the city of Odense, and it is my absolute pleasure to work with so many talented people from around the world to bring this very special event to the city for the very first time. Line has always been fascinated with innovation and technology, and is especially interested in how to involve the users in the development process. 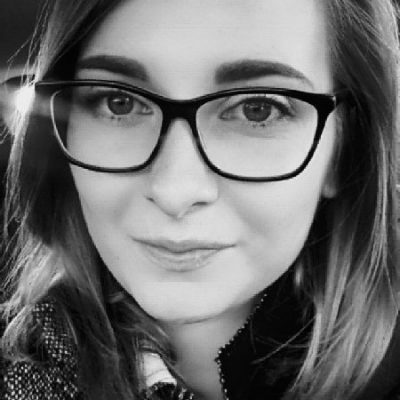 She was quickly drawn into the eHealth industry, when she moved to Odense 7 years ago, and has since worked with different aspects of innovation, technology and healthcare. She now works in the chasm between healthcare and technology, translating the needs and frustrations of the healthcare professionals into meaningful technical solutions. She does this as a project leader at MedWare ApS. I’ve always been involved in organizing different smaller events, which was either charity, university or sports activities. I want to challenge myself and get involved with something that will impact people, while also including my passion for innovation. 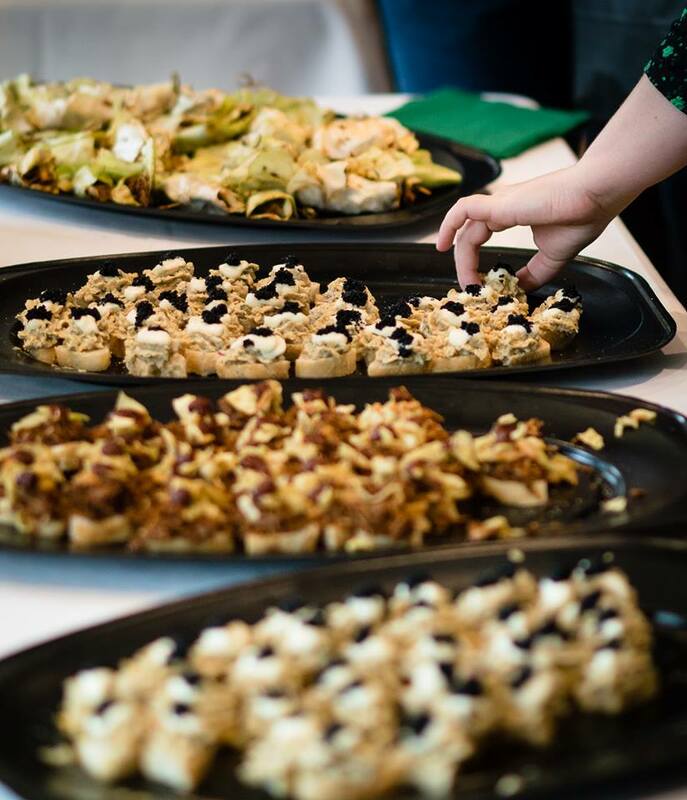 TEDxOdense is the perfect opportunity to share ideas and inspire people with great ideas and stories. 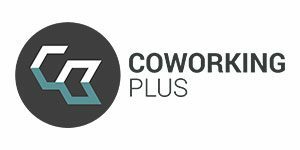 I am excited to work with passionate people to create the movement of “ideas worth spreading” in Odense. 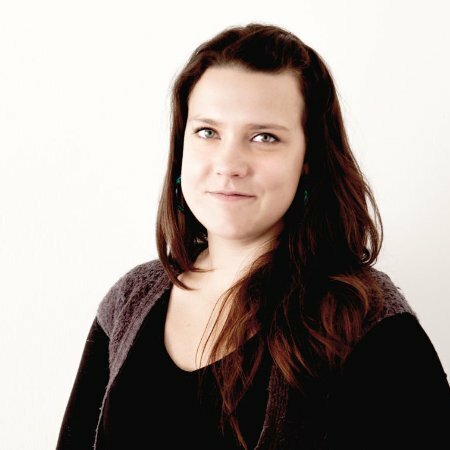 Maja was part of TEDxOdense event management team last year and previously she was on the moderator team at Factory of Imagination 2016. 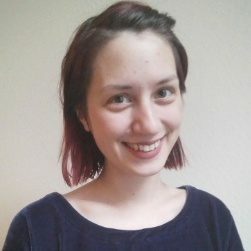 Currently she is working as a research assistant at the University of Southern Denmark, where she focuses on strategic decision making and behavioral experiments. She always seeks for challenges and opportunities to improve and broaden her network, gain knowledge and experience in different fields. My passion for TED started during my Bachelor studies with watching TED videos during one of my classes. I liked the concept of TED and how people can spread the word, knowledge and be motivation factors for others through their stories and ideas. TEDx for me means passion, motivation, encouragement, networking, ideas and sharing. Since I was in audience at TEDxEAL events in the past two years, I decided to try to take the opportunity to be a part of the team. It was definitely a great decision and experience. I am looking forward to be part of next TEDxOdense! 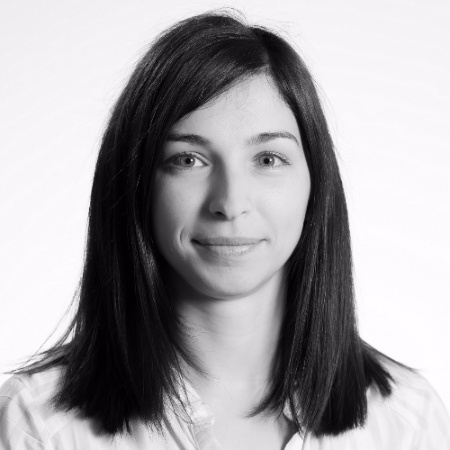 Monika is the mischief-maker of TEDxOdense, and she strives to bring playfulness and creativity into the team. She loves to travel and juggle many projects at the same time, currently combining freelancing in event management, starting up her own marketing company, and leading the Marketing Team of TEDxOdense. I discovered TED and TEDx shortly after moving to Denmark. I used to watch videos of speakers from all over the world, dreaming about becoming a part of this incredible community some day; dreaming of executing an event, which would inspire others as much as I have been inspired by watching the talks myself. A couple of years later, when the head organizers, Steffie and Adam, brought TEDxEAL to our local university, I knew I had to be a part of it. 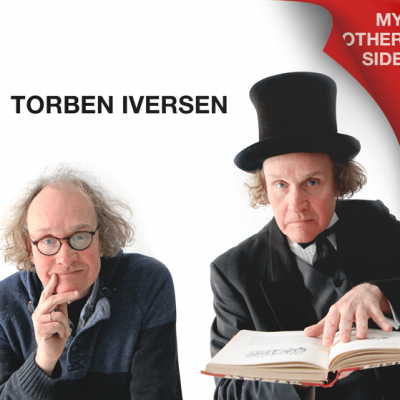 After working on various projects with the both of them, I also became a part of TEDxOdense. Today, I am very proud to be in a team contributing to bringing such an amazing event to the city of Odense, which reflects the local community and is devoted to Ideas Worth Spreading. Silviya is a master student in Corporate Communications, whose personal mission is to unravel the mysteries of good communication. She is particularly curious about storytelling and the principles of a well-told story that make people rise up to their feet applauding. Right now, Silviya enjoys volunteering in TEDx, which she considers as ‘the factory for storytellers’. Ever since I saw my first TED talk, my interest in storytelling rose as I immediately saw how telling a compelling story can bring people together and positively contribute to society. Today, I feel lucky to be part of theTEDxOdense team and bring the magic of storytelling on stage in Odense. 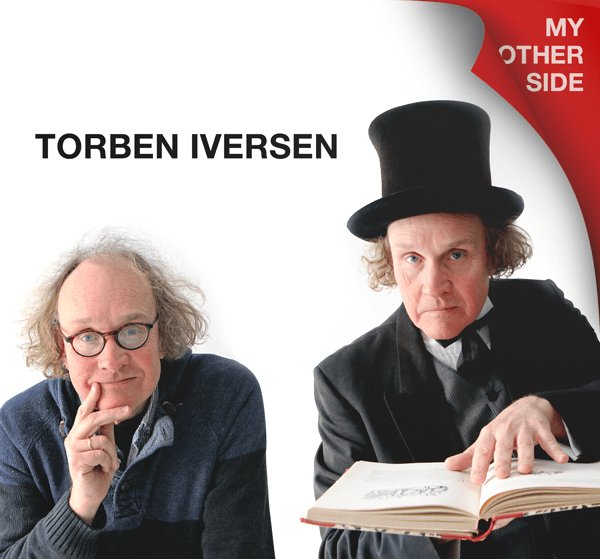 I believe that in Odense we have many exceptional people with different stories worth telling. Some stories will impress us, some will make us laugh and ideally by the end of the day everyone will feel inspired both on a personal and professional level. Anna graduated from University of Warsaw with diplomas in International Relations and in Journalism and Social Communication with specialty in Public Relations. 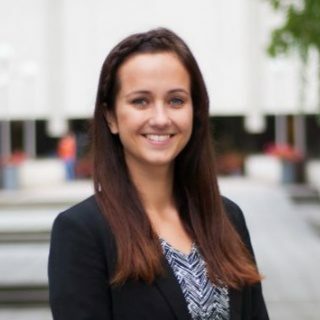 She gained her professional experience working in a think tank on both nonprofit and governmental projects and in PR agency focusing on media relations, brand management and social media. She has spent most of this year in the USA gathering inspirations from Silicon Valley's innovations. 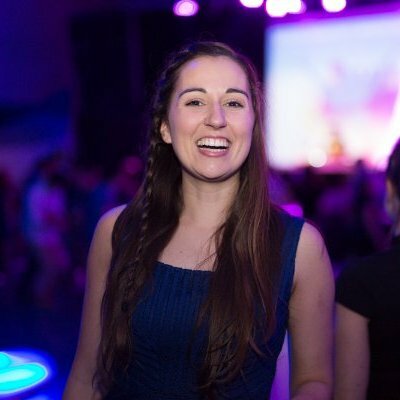 She will be responsible for TEDxOdense social media and PR activities. I always believed that well-conducted communications is a powerful tool for getting people excited, inspired and empowered. 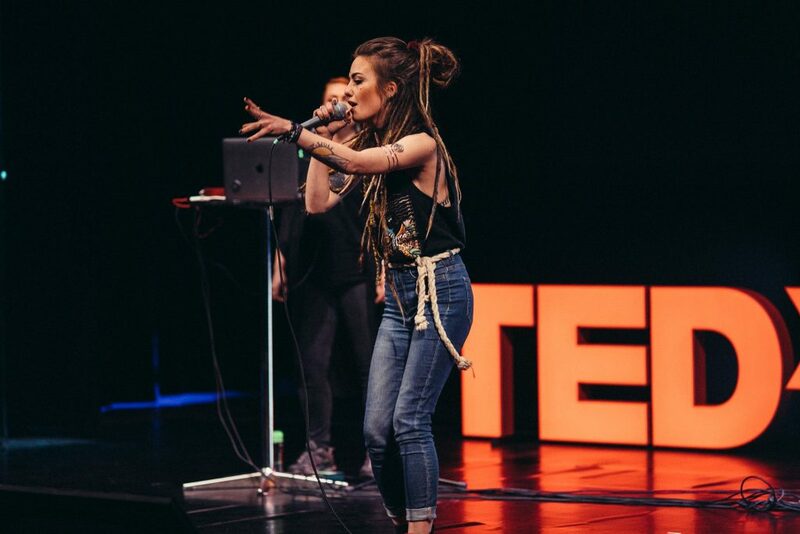 TED Talks are the perfect example of it - they spread the ideas that create a better world, they help understand differences, overcome obstacles and find inspirations for necessary actions. I could not be more proud and thrilled to be a part of the TEDxOdense 2018 Team! Theis Christensen is currently studying Media Science at SDU, and spends most of his sparetime creating videographic content for different companies. 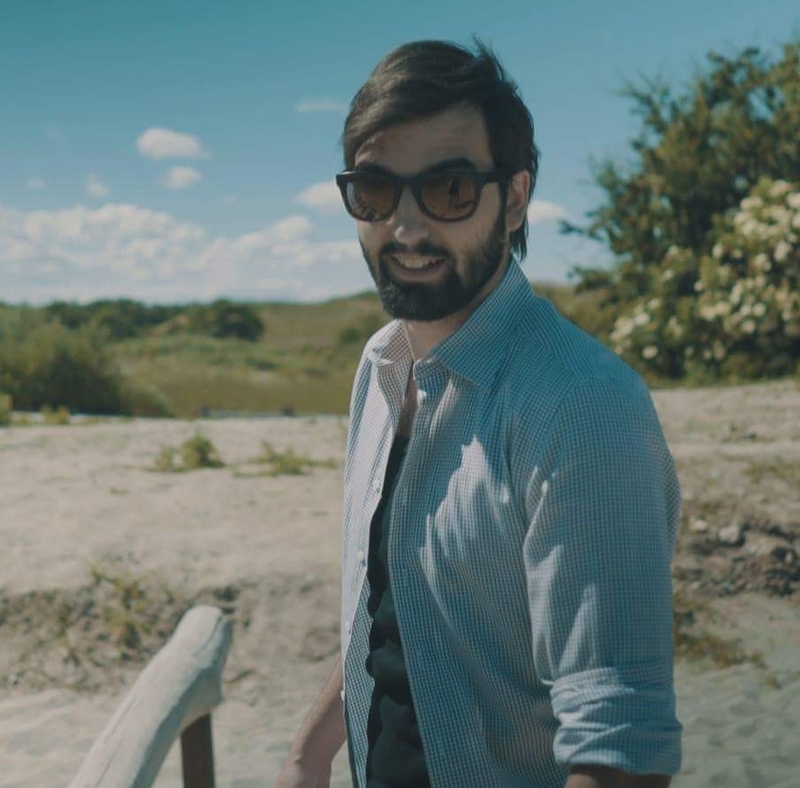 He also have a strong interest in the many aspects of creating shortfilms. I joined because i believe in the concept and because I want to help establish TEDx in Odense and create awareness of this great initiative. Balsa Nenezic is currently studying at VUC Fyn, where he is finishing up some courses to get into studying Integrated Design. Apart from studying he is a bartender/waiter and has been working in the nightlife community of Odense for about 4 years. He took up photography a little over a year ago, and has found great passion for the craft. 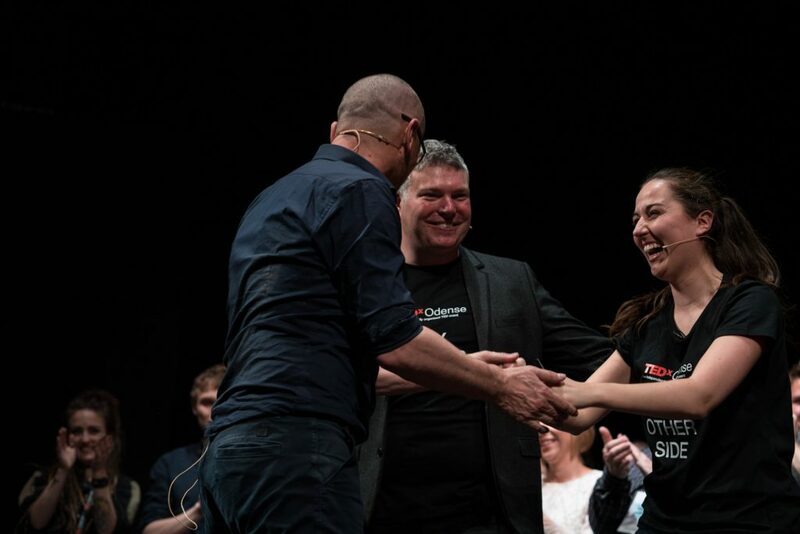 When I first found out that TEDx was coming to Odense I was ecstatic. I have all my life been very curious about most things. So when I discovered TED many years ago now, I felt like I had finally found a whole hive of information, groundbreaking discoveries and boundary provoking ideas. That of course means that when TEDx basically showed up at my doorstep I had to get in on it. And fortunately I could do that with my newly discovered passion for photography. 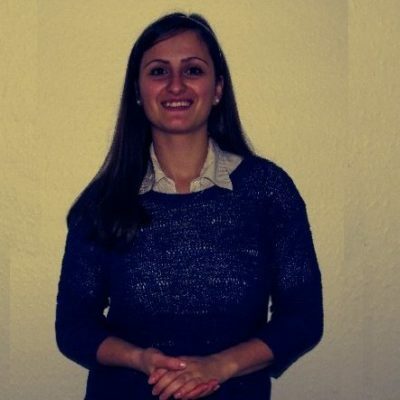 Raminta is an experienced marketer, communicator, project manager, inspirer, and an ”enjoyer”. She combines her passion for different cultures with knowledge and experience in different fields of business, both public and private. Raminta recently came back to Odense after a year in Lithuania, where she managed strategic projects in the Government office. I am glad to see how Odense is changing positively, and what big part of that change is in the hands of the community. 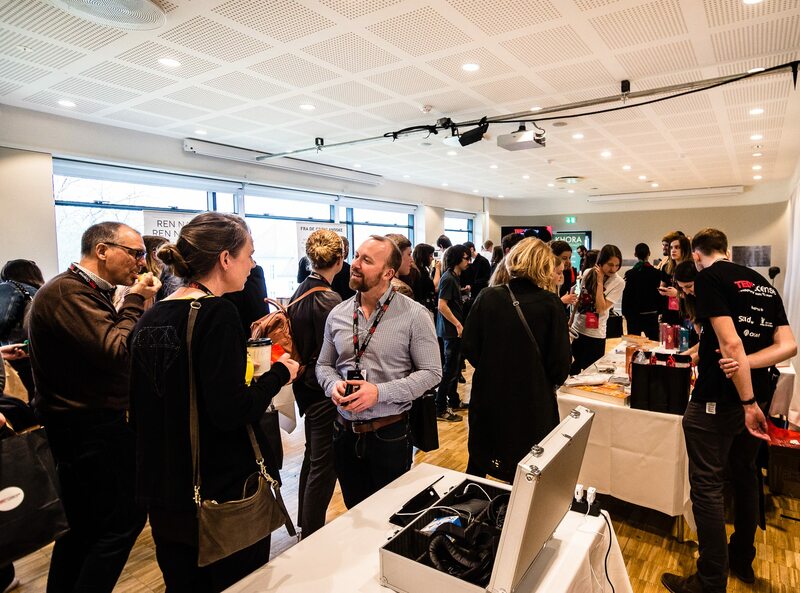 TEDxOdense is an incredible initiative brought from A to Z by the community to the community. 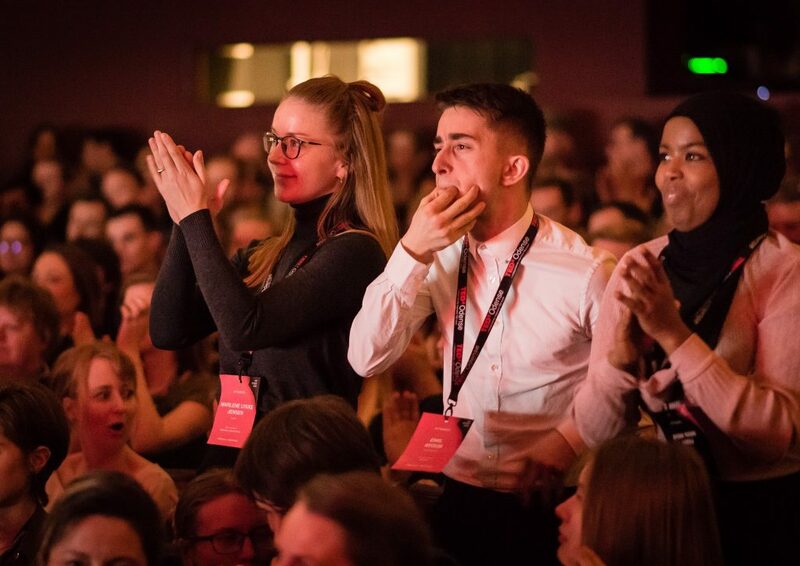 TEDxOdense brings fresh thoughts, different angles, unimaginable stories, unforgettable facts, goosebumps, and sometimes emotional tears ranging from the ones that visit you with the laughter, to the ones that change you for life. Michael finished his Masters in Marine Science at the University of Southern Denmark. He founded Sofar Sounds Odense, which is a Best of Odense award winning concert series. He is Vice-Chairman of StudieStuen and a booker for Celebration Records. His biggest passions involve bringing people together and discovering new music, preferably doing both at the same time. I’ve been using TED talks as a guilt-free procrastination technique for about ten years now! I’ve been fascinated, educated, changed and moved to tears by the 100’s of talks I’ve watched. I had to join the TEDxOdense team to be part of such an incredible event. Being part of the speaker team means I get to have a coffee with some of the most incredible people in Odense. 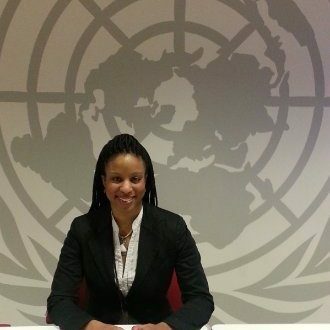 Kimberly is a recent Masters graduate of International Security and Law. Known to her family as “The Peacemaker”, she is committed to making a difference in people’s lives through her passion for justice, human rights, and the law. She loves to share ideas and innovative solutions about how we all can contribute to making the world a better place. I have been in love with TED since 2006. In 2011, I saw Brene Brown’s talk about the Power of Vulnerability. Her talk inspired me to become a better and stronger version of myself. When I saw an opportunity to volunteer for TEDxOdense, I couldn’t resist wanting to be a part of what inspires people, changes them, and keeps them moving forward. TED does this for me, and now I would like to give back and help impact people’s lives in a positive way. 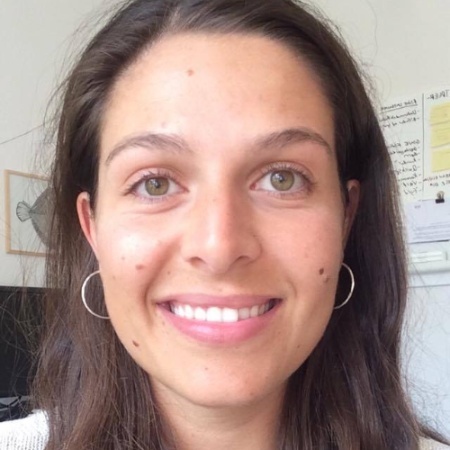 Ofelia is currently studying Anthropology of Education and Globalisation in Copenhagen, and is now doing interesting fieldwork exploring ‘how people learn’ in relation to context and culture. When she is not busy with TEDxOdense and her studies, she loves to go hiking in the nature and play basketball (not at the same time obviously). I’m so captured by the motto “Ideas worth spreading”. I believe that our knowledge of the world is expanded by constantly being open-minded, curious, critical, and best of all, when being shared. To me this is what TEDxOdense can do. It is a perfect platform to ignite debates and induce new ideas, and the speakers are adding so much to that, which is also why I’m so excited to be a part of this team. Ioana just moved to Odense, after working for 8 years as a business language trainer in Bucharest where she helped mid and top level staff in local and multinational companies to become better communicators in contexts such as presentations, negotiations and conferences. I’d been using TED talks in my training sessions for years when I saw the call for volunteers for TEDx Odense, and I just knew I had to apply. 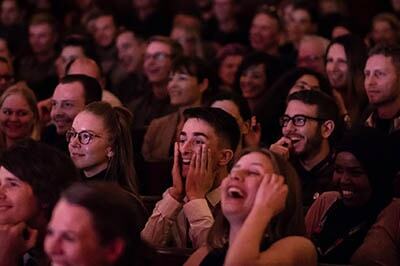 Contributing to the creation and distribution of content of the quality we can see in TED Talks is not only extremely inspiring, but also rewarding on a very personal level. 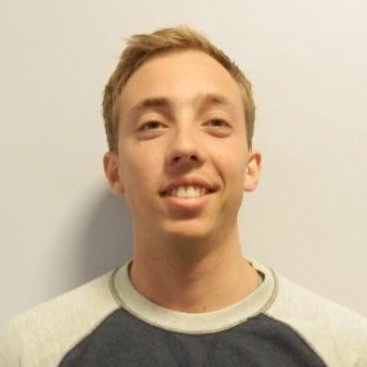 Kenneth has many years of experience in software engineering and is currently working as Lead Developer at online marketing firm, Spinnaker Nordic. Kenneth previously worked as a teacher as he believes it is important to share one's knowledge with others. To keep my professional skills up to date i watch a lot of conference- and techtalks, and that was probably the way i discovered TED many years ago. I joined TEDxOdense as this was the perfect opportunity for me to test out my own website platform ‘Kukento’ and at the same time give something back to the city of Odense where i have enjoyed living for several years. 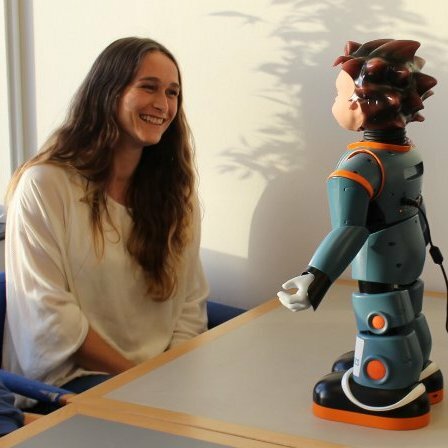 Franziska is Human-Robot Interaction Expert at Blue Ocean Robotics in Odense. As a communication designer she explores design opportunities with a user-centered approach and is curious about how technology, especially robots, can be made easier for users. I used to listen to TEDx podcasts on my way to University and work, which gave me an inspiring start into the day. It’s exciting to have TEDx in Odense and I am proud to join this amazing team- for sure it will be one big, imaginative and innovative show with brilliant speakers. Maria is an educated teacher and has a master's in sports and health Science from SDU. She is passionate about teaching, how people communicate and learn, and spends a lot of time inhaling Chlorine, while educating swim teachers and teaching swimming. I love having my morning coffee with a side of TED. Getting the brain tuned in for a day of creative thinking. 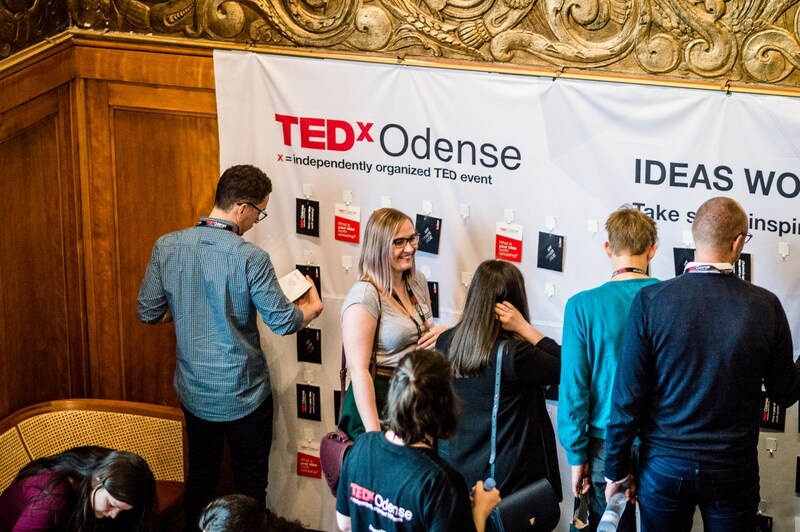 Being part of TEDxOdense is being part of a small, international, innovative and geeky team, working to unfold the amazing people and ideas of Odense by Odense. What's not to love? Born in Jutland, Jonas moved to Odense to study at University of Southern Denmark and has loved the city ever since. He has a big interest in data analysis and data visualization along with photography and digital image editing and processing. 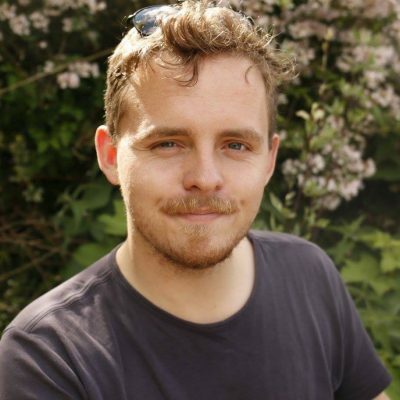 Jonas is a part of the Partnership team and a photographer for TEDxOdense. I love the idea that you can spend fifteen minutes watching a TED talk on your phone in the bus, and suddenly you have been introduced to a whole new world by a dedicated person, and out of nowhere you have learned something captivating or fascinating that you would have never even thought of before. Currently working as a freelance graphic designer, Adina is also a “yes” person who always likes to jump into new adventures. She has a bachelor degree in E-Concept development and is passionate about media, technology and especially amazing design - in digital, print and everyday things. Her life ideology is all about that one must never stop learning new things in order to live life to its fullest. I love TED and TEDx because it spreads great ideas and personal stories in a way nothing or no-one else does. I think it is very important in the nowaday world. I joined the local TEDxOdense team because I was eager to become a part of the community, meet new people and most of all, to help the great concept of TEDx come to my city. Aneta is creative and passionate graphic designer, who strives to deliver the inspiring and simple solutions. She believes that the minimalism and clarity is a key to a great design. 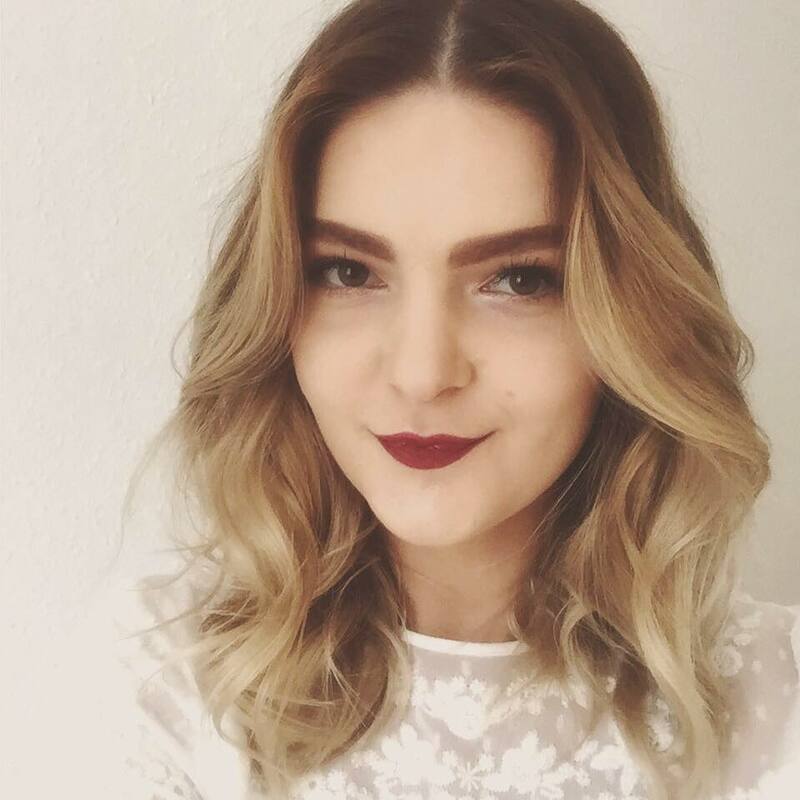 Although her passion is graphic design, Aneta has a Bachelor degree in Marketing Management as well as Innovation & Entrepreneurship. Few years ago, my mom came up to me and said that she will speak at the TEDxWSB conference in Poland. I needed to know what that is, so I searched the internet to get the answer. Quickly after that, I got dragged into the amazing TED community. I started to watch TED talks as an inspiration for my everyday life. After I moved to Denmark, I saw the opportunity to be a volunteer at TedxOdense. I decided that it would be an amazing way to work with different people and get inspired. I joined TEDxOdense to make more people aware and interested in this incredible concept. 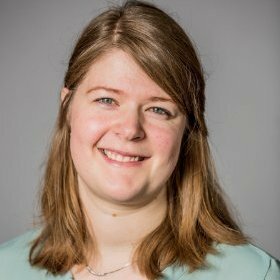 Marieke is a newly graduate from SDU, where she studied International Security and Law. Her own international experiences come from living in France and the US, where she further developed her interest in other cultures. Now she is settling in Odense and hopes to explore the Danish culture and international community here via volunteer positions. While I have always had a broad interest, TED talks greatly encourage me to look at different and other topics and fields of study than my own, and give me new perspectives on those fields I am already familiar with. When I saw the opportunity to volunteer for TEDxOdense, I thought it was the best way to combine sharing my love for TED and using my organizational and creative skills. 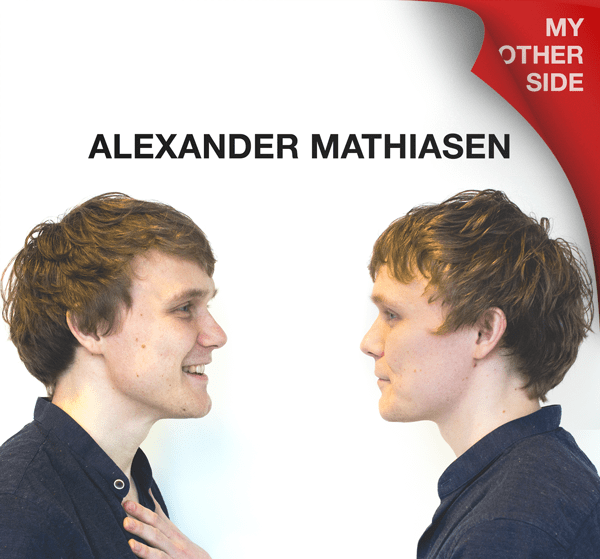 I am very much looking forward to an exciting and inspiring TEDxOdense! Sarafina Kimø was born in Denmark and raised in Canada. Five years ago, she moved back to Denmark and in particular to Odense, in order to study Nanobioscience at the University of Southern Denmark. It was there, working as the editor of the student magazine Hjerneblod, she cultivated a passion for communicating science and much more. Sarafina now works at the international speakers agency A-Speakers. Her favourite part of working at A-Speakers is that, most of the time, her job is to talk to fascinating speakers and watch their talks! When she’s not watching TED talks, Sarafina likes to make art, write stories, and enjoy nature with the community garden Gro Odense. She also vlogs about these activities and more on her youtube channel Skovlyste. Mikkel is creative, diverse and have interests in many different directions from any electronic technology to design and innovation. He moved to Odense in 2013 to study Product Development and Innovation engineering, and has since been working with many kinds of prototyping and project planning. As many others, I was sucked into the the TED universe by watching one interesting talk, then got recommended another interesting looking one, then another one, and one more, and all of a sudden the day was gone. I thrive for knowledge, and TED talks are phenomenal at communicating knowledge. 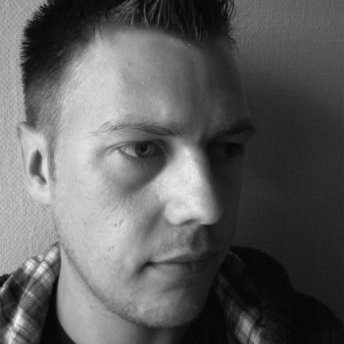 Robert is a developer pursuing his masters degree in Software Engineering at the University of Southern Denmark. He is currently working in a robotics company creating solutions to empower users to do complex tasks as easy as possible. He loves inventing new things and tinkering with technology. 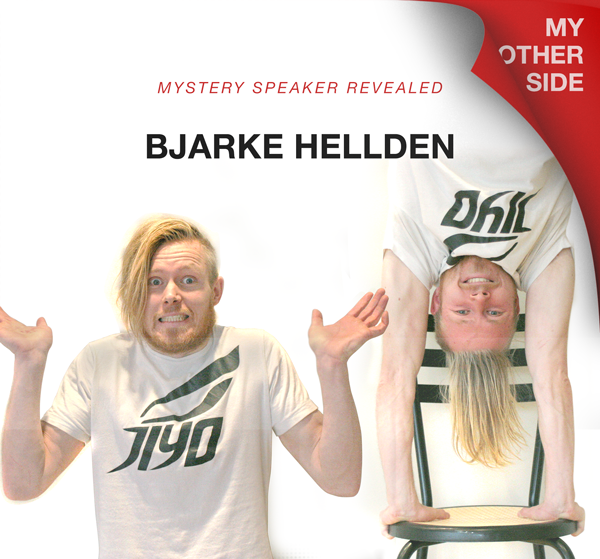 He has a creative mind and innovative thinking which he wants to bring to the TEDx Team in Odense. I find it very interesting to listen to other people's experiences and explore different points of view. TED and TEDx Talks are exactly that. Get inspired, jump for a moment into the skin of somebody else and explore something new or think about something you didn't think before. All this from your mobile phone, PC or even in your car radio. Be able to help organise such an event and be part of it is really an exciting opportunity for me.